What is RAM and ROM memory? All smartphones come with a certain amount of memory and this is one of the key points you should consider when you buy a new phone. There are two types of memory: RAM (immediate) and the ROM (internal). RAM usually has a smaller capacity and helps the processor to have all the information it needs quickly in order to run. ROM, or internal memory, is more like long-term memory and this is where the entire operating system can be installed as well as apps and files. Let's take a more in depth look at these! To understand what RAM is, you need to know what it stands for: Random Access Memory. it's called this becauseit can be read and written at any point without needing to wait in a queue of processes. This speeds up the search for information considerably since, unlike ROM or microSD, the physical location in which data is stored can be easily accessed. RAM is where everything a device needs to run is loaded, that is, the operating system, the applications in use and the ones running in the background. RAM is where the processor receives the required information directly. Therefore, the RAM and the processor are contained in a single (indivisible) module that is soldered directly to the motherboard. The more RAM you have on a smartphone, the better the performance and faster the phone will generally be, but this will also depend on the type of memory and the build quality of the phone. RAM only works when the device is turned on, which means that this type of memory is not able to store information once the device is turned off. This is why there is a slight delay when you turn on your smartphone - this is the time the phone takes for its system to load the RAM. There are many different types of RAM and it can get quite complex. In general, the main differences are in reading speed and power consumption. The earliest reports on RAM came in the 1960s, and since then, every new generation has more capacity, is faster and consumes less energy. In smartphones, a special type of RAM called LPDDR is used, which consumes little energy, heats up very little, is very small and, of course, is rather expensive. Currently, the most common RAMs are LPDDR2, LPDDR3 and LPDDR4. These are the last three generations of this kind of memory for mobile devices. The main difference between each is that with each new generation, the transmission speed is doubled. If RAM is read-write memory, then ROM is a read-only memory. The data stored in the ROM can't be changed, or at least not easily or quickly. In more recent generations, such as EPROM or Flash EEPROM (flash memory), the content can be deleted and rewritten multiple times, but it is still considered "read-only". The main reason for keeping it named "read-only" is that the process of reprogramming (erasing and writing) is usually slow and can only be written in places determined by formatting. 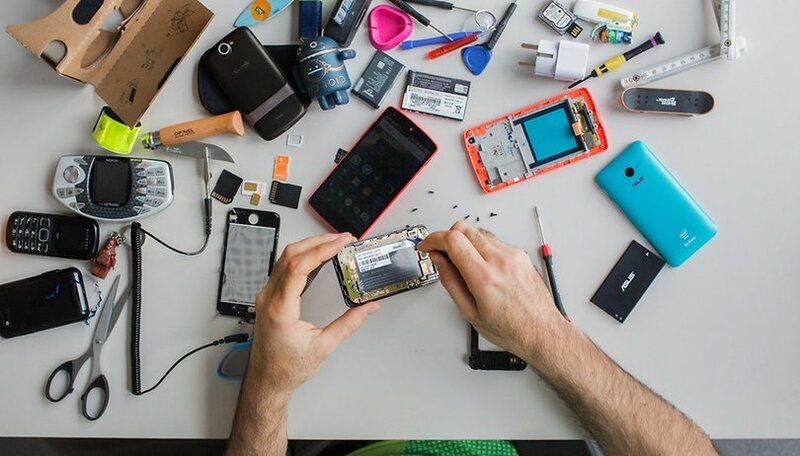 ROMs built into smartphones these days are much faster than traditional computer hard drives and are also soldered directly to the motherboard. It's in this ROM that the bootloader is stored (a program that starts the device and loads the operating system), as well as the operating system itself and all user data and applications. What is Bootloader and how is it used? Typically, the modified versions of the operating system are also referred to as ROMs. A quick online search will tell you that there are a number of customized ROMs that exist. ROMs are thus named because they are a system image similar to the one installed in the ROM in the factory. Was this article useful to you? What else would you like to know about this topic?